The Spring Board Mod only really adds two items to the game, but they are well made and are a tonne of fun! Spring Board blocks do just as you would expect, springing any entity that moves on top of them into the air. Activated Spring Board blocks, on the other hand, only boost entities skyward when they are right-clicked. For each type of block, there are three levels; wood, stone, and iron. To use the Spring Board Mod you first of all need to download and install this mod with Forge. Then, once you open up your game all of the mod’s features should have already been automatically updated. 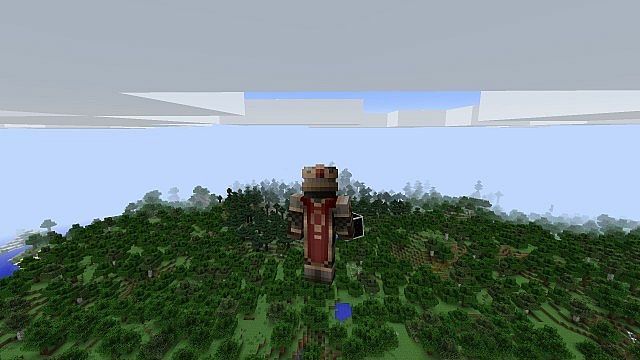 The mod is currently available with Minecraft 1.8, so therefore should install very easily. The Spring Board Mod adds two features to the game, the spring board blocks and the activated spring board blocks. Both are easily craftable with vanilal crafting recipes, and will launch you into the air! 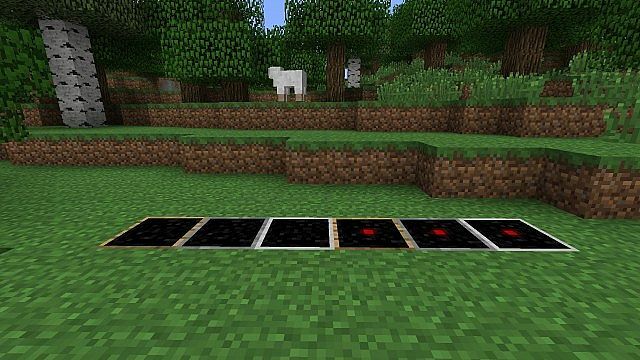 Both can be used with Minecraft Forge, MCPATCHER, OptiFine and more! Next, download the Spring Board Mod and drag and drop the .zip files into the ‘resoucepacks’ folder. There are currently no public changelogs for the Spring Board Mod. The developer released all of the features for the mod upon initial release so I can’t really see him updating the mod any further. The mod is so small that there is nothing left to add.